The headphone is not included. Helps to deliver high-quality guitar sounds, plus a digital delay effect. Designed with 3 knobs: echo/ F.back / time knob. AUX jack lets you connect an external audio device to this jack. 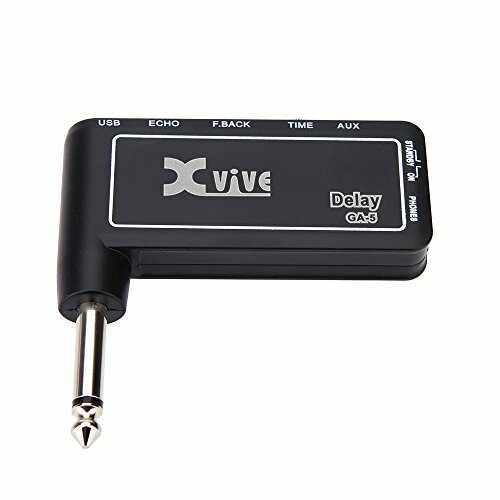 Uses the headphone jack to connect headphone, portable speaker or mixer. Powered by the built-in battery.